As if the impacts of climate change weren’t enough, big fossil fuel companies have now set their sites on exploiting the oil that lies deep in Arctic waters. 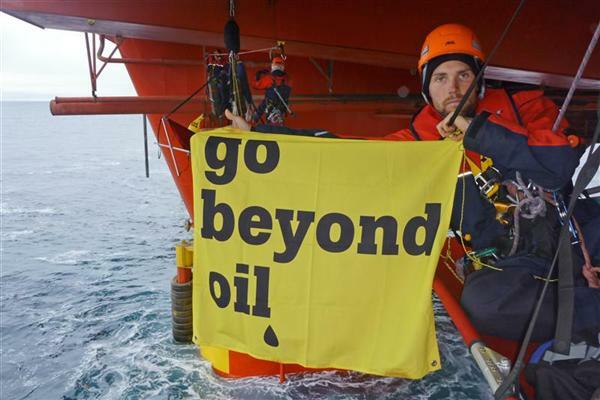 Greenpeace activist Simran McKenna holds a banner reading "Go beyond oil" on the Stena Don oil rig in the Arctic in 2010. The people and animals that live in the Arctic depend on its unique ecosystem to survive. 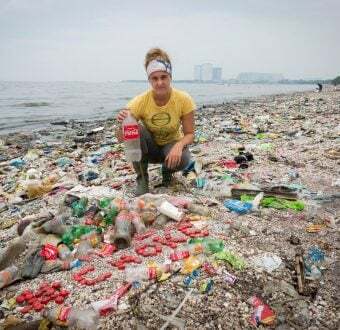 Yet major companies like Shell and Exxon are making aggressive moves to usher in a new “oil rush” in the Arctic Ocean. In some places it has already begun. Russian oil giant Gazprom has already begun producing small amounts oil from the Arctic in the ocean north of Russia. Here’s why we can’t let ANY drilling in the Arctic continue. 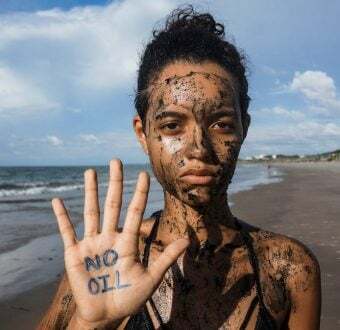 The long history of oil spills around the world has made one thing clear: the only way to prevent an oil spill is to keep oil in the ground. Fragile Arctic ice and tricky weather conditions make a spill in the region even more likely. In a review of Shell’s plans to drill in the Alaskan Arctic Ocean, the U.S. Department of the Interior found that there’s a 75 percent chance of a major oil spill if an oil company finds oil and produces it. Even though the Department of Interior is taking the Arctic off the table for oil drilling for the next two years, it’s critically important that the region is closed to ALL new oil drilling forever. How Do You Clean up an Arctic Oil Spill? No oil company has ever successfully cleaned up a major spill. In 1989, the Exxon Valdez spilled 11 million gallons of oil into Alaska’s Prince William Sound. Exxon spent $2 billion trying to clean up and recovered less than 7 percent of the oil spilled. In 2010, the BP Deepwater Horizon blowout spilled up to 200 million barrels into the Gulf of Mexico. Of that, only about 8 percent was recovered or burned off. Extreme conditions—including icy waves that reach 50 feet—make response in the event of an Arctic spill even more difficult. The nearest response stations to Arctic drilling sites are located thousands of miles away. For the sake of the people and animals that call the Arctic home—not to mention the global climate—we must keep offshore oil in the ground for good. There’s no climate-safe future that involves drilling in the Arctic Ocean. It’s the only way to prevent a devastating spill and end our dependence on fossil fuels. Join the movement: say no to ALL Arctic drilling, now and forever.